Occasionally, I receive questions and complaints about rules in our community. For example, there’s just too many rules, or why the rules? Nobody follows them. Living in a community where rules are followed and respected makes life easier for everyone. It is one of the benefits of living in a homeowners association, but when rules aren’t followed, it can be frustrating for everyone. Overnight Parking Restrictions. 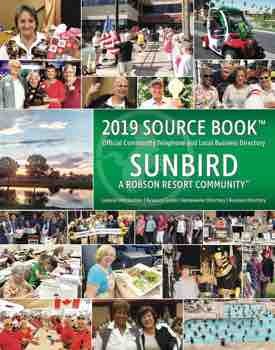 SunBird is experiencing another busy season, and we would appreciate your help. As a homeowner or tenant, it is your responsibility to let your visitors, family and friends know that if they park on the street in front of or near your home, we have overnight parking restrictions. Our overnight parking restrictions begin at 12:00 a.m. and end at 6:00 a.m., seven days a week. If our Patrol Officers find a vehicle parked on the street during those hours without an approved parking variance or a SunBird guest card properly displayed on the driver’s side of the dashboard and visible to Patrol, they will issue a Courtesy Notice, which is considered a first citation. If there is a second citation for the same violation, the fine will be $25.00. Guest Card street parking is limited to 30 days. Please call 480-797-8605 or visit the office with questions or concerns.